You know that feeling? When your brain is on overload and your never-ending task list seems to grow bigger as days pass, and nothing you do even seems to scratch the surface off of the exasperating mountain climb you have ahead of you? Yes, yes you do. Well, believe it or not, it’s normal. What a lot of us tend to forget is that we are human. There are plenty of super powers bestowed upon us as entrepreneurs. You sometimes tend to uncover a few that you had no idea were hidden in the depths of your soul. However, you will have occasional moments where you may feel overwhelmed. Drained. Overworked. Simply burnt out. Yes, there’s always the prospect of taking a vacation (self-care is essential!). But if it’s one thing that some of us have to learn, it’s the mere exercise of bending at will. In that, I mean—not being afraid to ask for help. Now, I know that Mom and Dad always told us, “If you want something done, you have to do it yourself…”, but asking for assistance should never be taken as a sign of weakness. You honestly cannot do everything by yourself. It takes a village. Even a one-man company can grow leaps and bounds after some time and extra hands equals extra help. There are many options available that can allow you a little bit of flexibility and support along the way. Ever thought of hiring an intern? Or perhaps even getting someone you trust to assist with admin for a few hours? You would be surprised how much this could help in the long run. 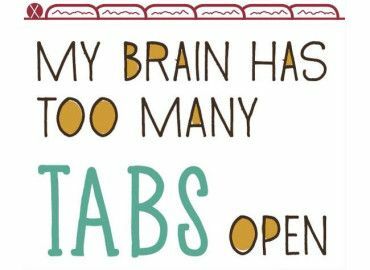 Asking for help will enable you to close a few of those pesky tabs that remain open and untouched on the regular. And oh, what a relief it will be. Previous Post Work-Life Balance – How Do You Tip The Scale?